We are the best-value contract hire and leasing company in the country. Being the best value for money means that when combining price and first-class customer service, you are left with a company that will do exactly what it says and will never let you down. We're driven by our customers and we never forget how important they are to us. 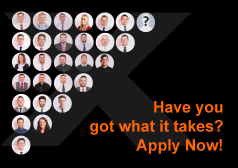 The team behind XLCR Vehicle Management Ltd have years of experience in the car leasing and contract hire industry and are trained to provide the highest standards of customer service. We receive the biggest discounts on new and used cars and vans, and this combined with our approved-agent status for many major national banks & finance houses guarantees that we can provide you with the best deal on the market today. ... and then we pass the saving we make onto our customers. We are authorised & regulated by the Financial Conduct Authority as a credit intermediary and for general insurance business. We are not a lender. Our FCA firm reference number is 315268.